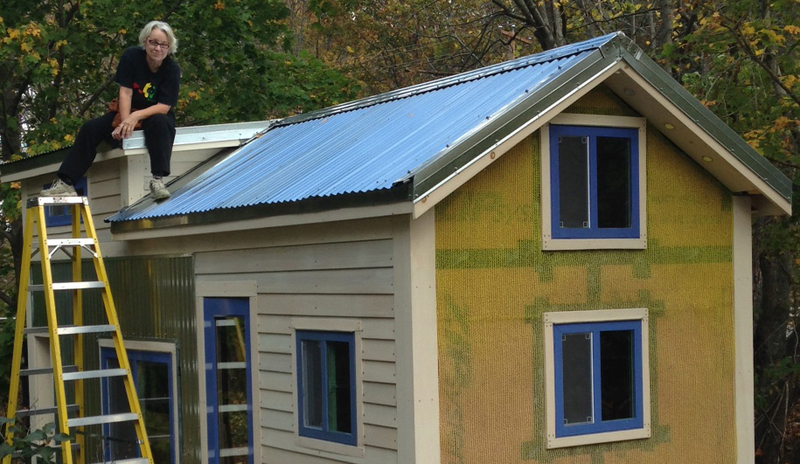 Biomimicry in Tiny House Roofing? What is biomimicry in construction design and planning? 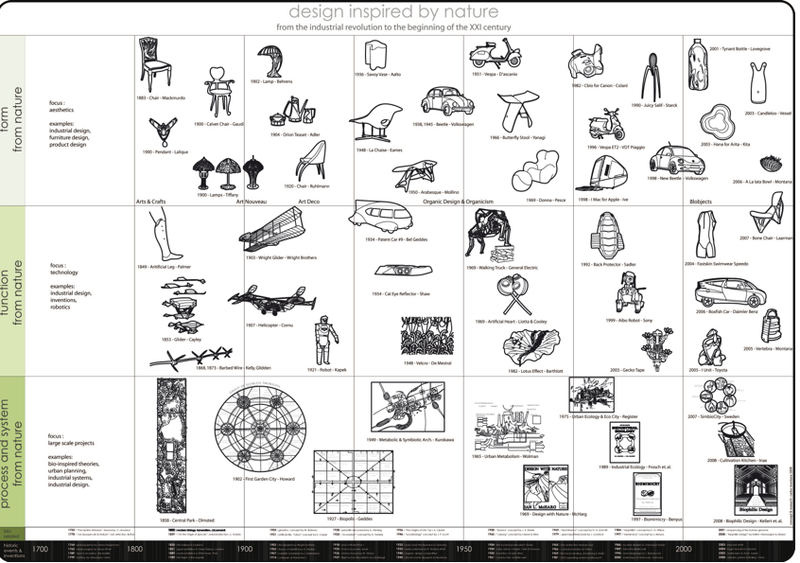 You can find some examples of biomimetic architecture here. Traditional solutions like plywood, roofing felt, and shingles is basic residential roofing, right? I grew up in, purchased and lived most of my life in homes built like this without realizing how toxic those materials can be to human health and how little their manufactured design prevents rotting, mold, airflow and longevity of the life of the resource/product. And that’s not even thinking of how to recycle, reuse or repurpose those resources! For my tiny house/classroom build, I chose to use healthier alternatives while applying biomimetic principles by creating a traditional looking structure as close to mimicking our integumentary and skeletal systems as possible. After all, our bodies are incredible human machines! And if we treat them right, they are quite sustainable! I choose innovative and well designed products AND manufacturers that embody sustainable practices in their product’s manufacturing and/or their management/operating practices. I designed the Silver Bullet’s “envelope” to imitate nature with great “bones” (advanced framing) and great “skin and hair” to be waterproof, regulate temperature, and circulate air to dry itself (or should I say Zip panels by Huber and Homeslicker Rainscreen or CedarBreather by Benjamin Obdyke). This material comes in about a 62′ long roll, 39″ wide and is very easy to install, especially for a novice builder like me. And the manufacturer was helpful in explaining to me how to install their product for my customized purposes. CedarBreather is a nylon mesh type matrix that has repeated mesh 3D cupcake forms across its surface. This 1/4″ compressed layer provides cushioning, eliminates moisture, prevents cupping, rotting, and is fire resistant. Ideal for the common issues that normally plague all tiny-housers. Below you can see the layers I built. The Zip board over the rafters, the Cedarbreather over that, then the corrugated steel panels. CedarBreather allows controlled airflow over the roof deck between the ridge beam, baffled rafters and vented eave louvres. Another tiny house construction project completed by an amateur successfully! Yay! And this means the sound of rain on the roof will be a little softer as I fall asleep looking at the stars in one of my lofts. And the last thing on my mind will be the effects of moisture on my tiny house structure! *Check out a similar ventilated underlayment, Homeslicker Rainscreen, I installed on my walls here. 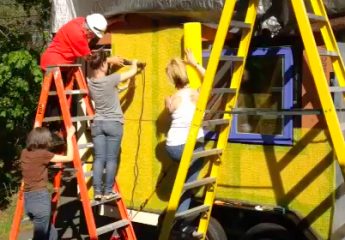 ← 2nd Silver Bullet Tiny House Sustainable Swap Social!